Many times you may not know how to pray. When you feel speechless in prayer, open your Bible and pray the promises. These verses are not only promises from the Lord, but are facts about Him. Do you believe that God is who He says he is? 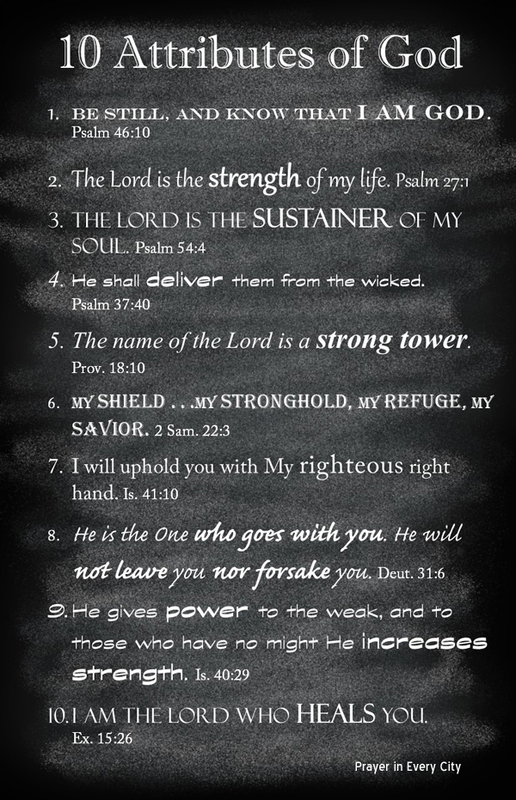 When you pray these verses, thank God because He is our strength, sustainer and deliver. Don’t ask the Lord to be your strength, rather thank Him because He is your strength. I have been reading the book, Victory in Christ by Charles Trumbull. In the foreward of this book, Henry Blackaby says, “God’s people are using their own abilities and the method of the world to serve God. This was never God’s intention. He has provided ALL WE NEED -‘His divine power has given to us all things that pertain to life and godliness” (2 Peter 1:3). We try on our own to be successful for God-while God wants to reveal Himself to a watching and needy world” (p. 9).We just have to move out of the way and allow the Lord to express Himself through us. 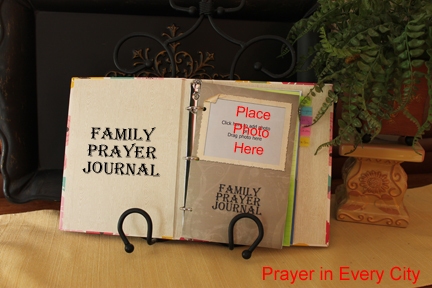 I hope you have made a Family Photo Prayer Journal. You can add this sheet to your journal so you can claim the promises of God. Click here for a printable version of 10 Attributes of God. You will want to cut it out to make it the appropriate size for your journal.